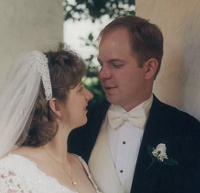 Karl and I just celebrated 18 years of marriage! As someone joked, we’re finally legal now ☺. We’ve had heartbreaking times and wonderful times as well, but thanks to good counsel and a foundation in Christ we’ve been able to weather it all together and come out more connected and in love than we started. Some of that good counsel came from Cru’s FamilyLife ministry. One couple we work with here in Indy speaks at many FamilyLife events, so we wanted to share a taste of what God does through them. We hold marriage in such high regard for the sake of our walk with God, our children, and our witness to the world. It’s worth investing in. As you can see from the comments, it’s not just for marriages that are on the rocks, but for everyone who wants to grow closer to each other and to the Lord. We highly recommend it. If you are interested in learning more, check out www.familylife.com and click on “Events”. This entry was posted in Prayer Letters on May 27, 2016 by Liesl.